Most of you probably have a website that is information about a service or a product. You are generating traffic and have regular visitors. But your regular visitors aren't going to stay long if you don't have something new for them to look at. This is becoming the number one reason to have a blog on your site. It gives you an area to constantly update your site with new informational content and a way to gain more traffic to your site. Today there are millions of sites that are only a blog. This is fine, the same principles still apply. You are giving people a place to find useful information that is constantly updated. People will visit the site regularly to see what is new. If you don't provide that resource to them, they probably will stop coming back. A blog is an easy way to show your visitors what is going on. You can post something about your personal in your life, latest news, the topic can be about anything. Most people use them to promote their site's service or products. You can promote special deals, new products, or new website design. A blog can hold any type of content. You don't need a blog to have a successful site. 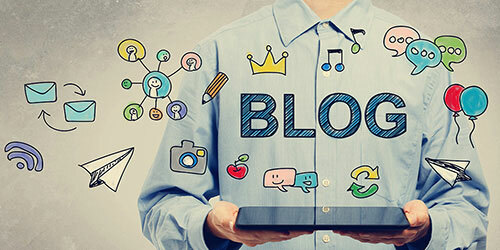 Like mentioned before, a blog is a way to develop new content for your visitors. A main selling point for a blog is that it can increase your search engine traffic. You can target more relative keywords for your site. If you are trying to sell puppies on your site. Your site main targeted a keyword would be "Labrador Puppies for Sale". You can then post an article about "How Labrador Dog Are Great Companions". Then cross link it to your page that is selling puppies. Blog are also another way to have another monetize source on your site. You can sell ad space, affiliates links, or sell sponsorded blog posts. What is better than having more traffic? There is nothing wrong with a site that has an increase of traffic. Not only are you making more pages on your site, you are making your site more relevant to search engines. By writing blog posts that are relevant to your site's main topic. You are showing search engines that you are an authority figure. That you have information to share on the topic. Adding contextual internal linking to your blog gives you added keyword bonus. As mentioned before, internal linking your blog with your main page will increase your search engine ranking. What is even more powerful is having external links coming into your site. And your blog can be a great resource for others to link to. Most website aren't going to link to your "Labrador Puppies for Sale" page because it doesn't apply to them directly. But they would link to a page about "How Labrador Dogs Are Great Companions", because it is informational and useful to people. By getting more links to your blog makes your site more powerful and will rank better in search engines. One struggle you will have with a blog is coming up with content ideas. You will hit days where you can't think of anything to post. Good ways to combat this is to write down ideas that come to you. Always jolt them down, because you won't remember later. Try to be creative and think of problems that your industry is having, or information that is hard to find. There are many services that offer you to make a blog online. This can be helpful for those you do not know any degree of web development. This is what we call an external blog. It isn't directly connected to your website, but you brand it as your own. Problems I foresee with having an external blog is you never know what the future for the company holds. One day they could shut down and your blog goes offline. Plus with it being controlled by them you don't have full control of layout design, SEO settings, or sometimes the domain name. I would stay away from them. I recommended an internal blog on your own server with your parent domain name. This gives you full credibility for your brand. Plus it gives you full control of all aspects of the interface. If you are backlinking your blog, having it internal gives you the full benefit of the backlink source. Whichever direction you go with your blog, it is important to decide and just get started. Having a blog that is updated once a month is still better than no blog at all. There are far too many benefits not to do one. This was very concise. Helped a lot. Thanks!